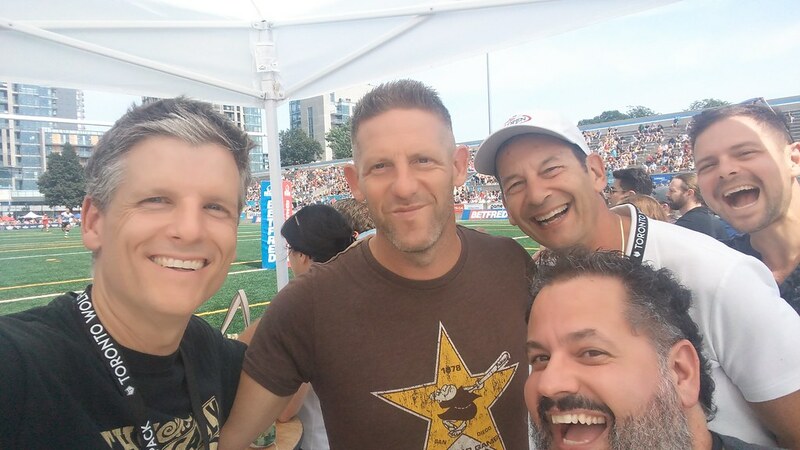 If you listened to my Everything You Always Wanted to Know About the Toronto Wolfpack Rugby League Football Club* (*But Were Afraid to Ask) episode of Toronto Mike'd, you know I know very little about rugby. I had also never seen a match live until this weekend. On Saturday, I attended my first rugby match. 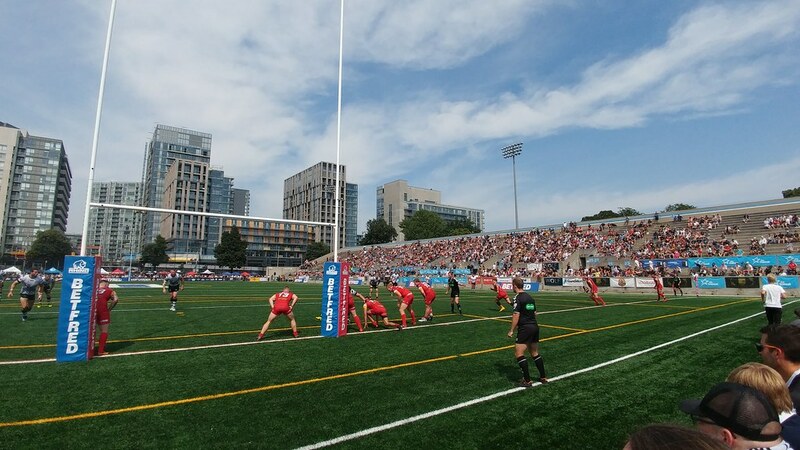 I was given four VIP tickets to see the Toronto Wolfpack face the London Broncos in Super 8s Qualifiers action at Lamport Stadium on Saturday. It was a hot afternoon in the city with the air show taking place above, but good company and good grub made for a mighty fun match. These guys are big and tough and you don't realize the punishment their bodies endure until you see it close-up. It's insane. We won 34-22, putting us in good shape to advance to the Super League next season. I'll definitely be back to watch a match or two then. Is it a family friendly event? Do they engage the kids? I've been meaning to get to a match but its hard with my work schedule. Always been intrigued by rugby though. Seeing youtube clips of that and Aussie rules football. Team is based in Toronto, I'm a citizen of Toronto, so it's "we", dammit. I can tell you this. I was watching the game with Greg Brady who brought his two young sons and one of their friends. And all three got to run around on the field after the game! I’ll tip my hat to the Wolfpack, but for many of us it is hard to see League gaining traction when the administration of Union is a tough an all time low on this country. Can’t believe the Wolfpack isn’t getting good press. They won it all last year and will be Super 8 next year. Rugby is a great sport and these lads are great athletes. Glad you enjoyed the show!